Years ago, I was told that you should never apologize for your art. However, I confess that I sort of feel like I should apologize, because I’m not great a drawing paper doll men. I’ve never felt as comfortable drawing men as I do drawing women. And my mother’s remark that my Post C paper doll men had “awfully narrow shoulders” did not help any. Still, the only way to get better at something is to practice. I have come around, mostly, to the the idea that men’s clothing can be interesting. I would like to learn more about historical men’s clothing, for example, and that’ll require a lot of research on my part. It’s something I am not as comfortable as I am with women’s clothing. 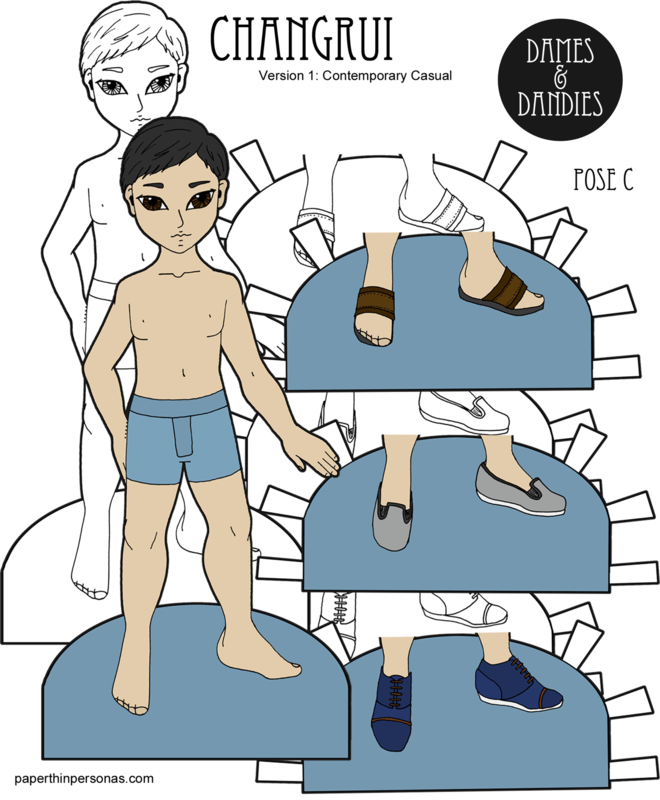 The first of the Pose C paper doll men is Changrui. Changrui is a name with Chinese origins. Like a lot of Asian names, the meaning of Changrui depends on which characters are used to create it. 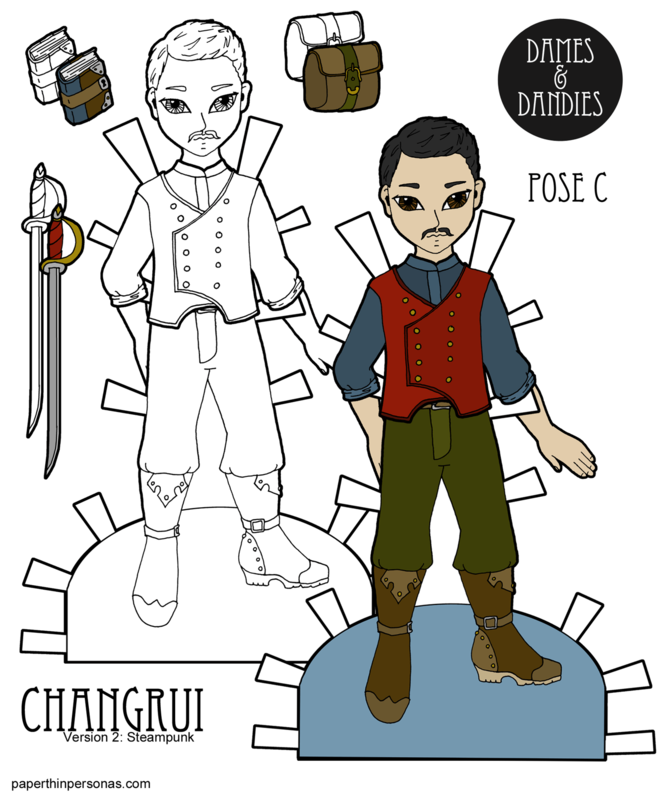 I suppose you might say the Pose C dolls are designed to be the “Dandies” to go with my Pose A and Pose B “Dames.” Anyway, right now poor Changrui can’t be feeling very dandy as he doesn’t have anything clothing yet, but don’t worry- later this week he’ll get his share of outfits to wear. Meanwhile, let me know what you think of Changrui in a comment and, if you like the blog, consider becoming a Patron. Quick shout out- Toria of A Paper Closet has started posting again after a bit of a hiatus. She’ll be updating weekly and if you haven’t than I would encourage you to hop over and check out her beautiful black and white paper dolls.